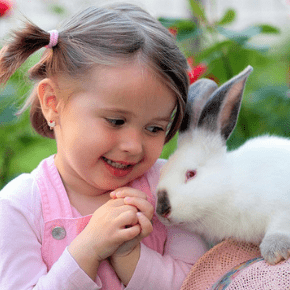 Do you have a pet bunny that you adore? 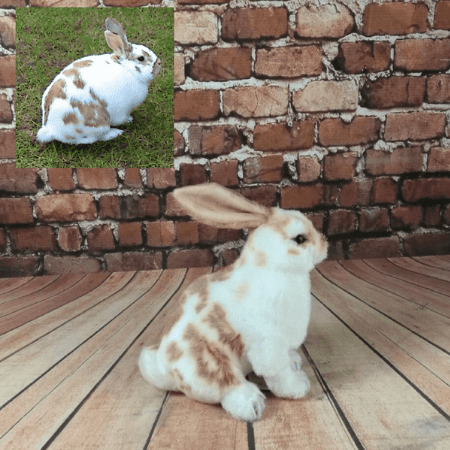 Now, you can get a stuffed animal bunny lookalike of them! All you have to do is send us a photo and our team of talented designers and seamstresses will create their mini-me, markings and all! We specialize in all kinds of bunnies and rabbits breeds, from the Holland Lop to the Lionhead. 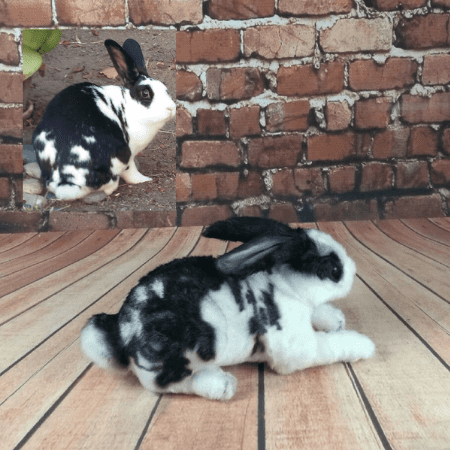 Sure, you could get a rabbit stuffed animal from your local toy store, but it doesn’t provide the same emotional connection as a 100% handmade custom stuffed version of your unique rabbit. Your rabbit stuffed animal will be with you forever and an excellent way to remember why you loved your bunny so much. Cuddles on Demand: Sometimes you want to hug your rabbit but your rabbit doesn’t want to hug you back. What do you do? Get a custom stuffed animal version of your favorite pet and give them all the hugs you want. No Feeding or Cleaning: What’s better than a pet that doesn’t need to be fed or cleaned? You get all the goodness without worrying about the mess. 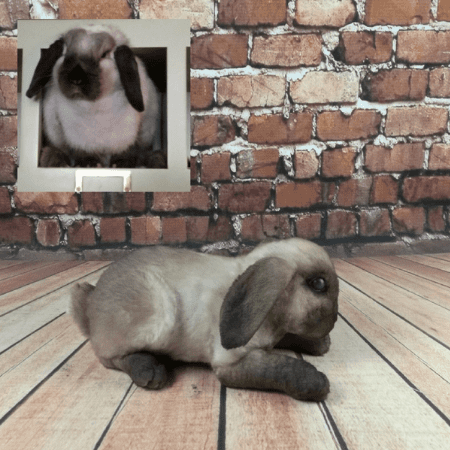 Behaved Rabbit: Sure, your pet bunny may like chewing on carrots and toys, but most likely, enjoys eating your furniture, as well. This stuffed rabbit won’t chew anything up. Remember a Past rabbit: Luckily, these furry pets live forever, as long you love them. Population: Can you truly put a number on the rabbit population? No Way! However, there are an estimated 709 million of them in the world. Characteristics: Rabbits are furry with long ears, short tails, and strong longs. They have extra long sharp teeth for gnawing which grow throughout their lifetimes. Unique Talent: Rabbits have super powerful hind legs built especially for hopping. Their 4 hind toes are long and webbed to keep them from going sideways when they jump. Some rabbits can run 35-45 miles per hour! Rabbits were originally domesticated in the Middle Ages. In the 19th Century, they became very popular as pets in the United States. The same thing happened in England in 1888 which became known as the “Belgian Hare Boom” where Belgian Hares were being imported from England. They were used for food, fur, wool, research, and as pets. Rabbits are very intelligent, and as such, they make great pets. They can even learn to follow voice commands! How do Rabbits differ today? 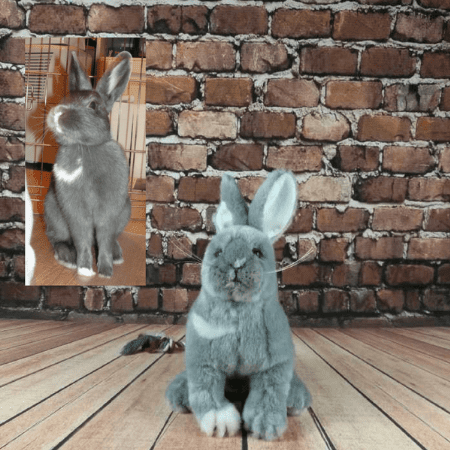 Rabbits are becoming more and more popular of house pets, with some houses being “rabbit-proofed” to make living more comfortable for them. In most cases they are even potty trained, where they know to “go” in a litter box.